A little something... for any palate! We're always pouring at least two cuveés of Pinot Noir. Because of Jason's "non-interventionist" wine-making philosophy, these wines change in dramatic ways from year to year. It's the Willamette Valley, of course we have the full compliment of cool-climate white varietals. All made dry. All with a steely, mineral core. The Gris' tend to orchard fruit notes while our Riesling and Blanc almost always lead with bright citrus flavors. We love our Alsatian varietals! We may be a small winery and vineyard, but we grow ELEVEN (!!!) different varieties of wine grapes. Crazy, right? Like juicy, fruity reds? 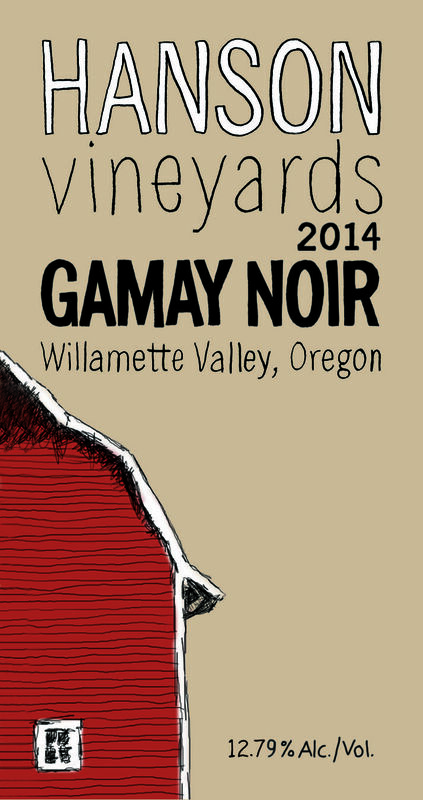 Try our Gamay Noir. Is a hefty, broad-shouldered red more your style? Try our Cascadia red blend... a 50/50 combo of Pinot Noir and Marechel Foch. On the lighter side, we have a bright and fresh, off-dry Gewurztraminer and a dry(ish) Rosé of Pinot Noir that was barrel fermented, giving it lots of fruit and a fuller body. Where can I find Hanson Vineyards wine? Better wine shops across the state!